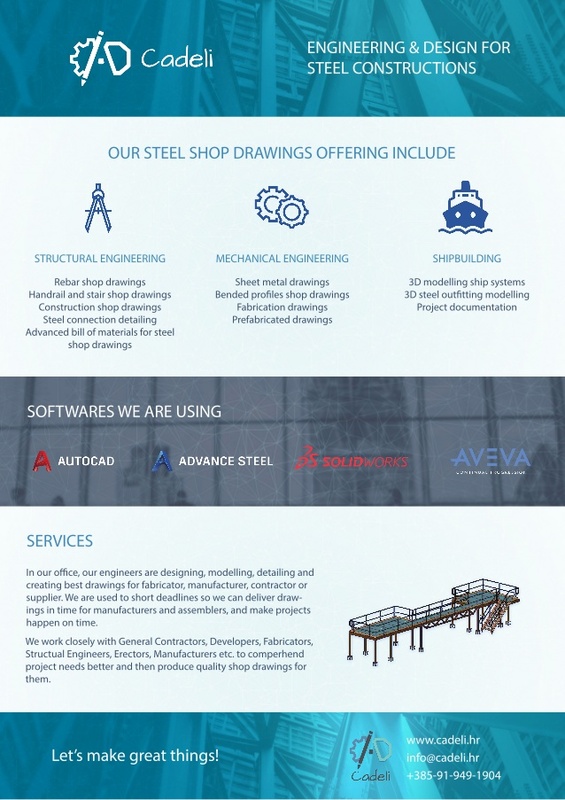 We are company from Croatia which is specialized in steel constructions: design and shop drawings. In a short period of time we established a stable way of business based on principles of integrity, loyalty, fairness and excellence. Our role is important link between client’s requests and realization of projects within short deadlines.